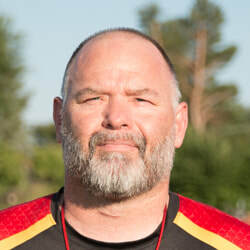 Coach Carroll came to Northglenn as Defensive Coordinator in 2013. He was the Defensive Coordinator at Mountain Range From 2009-2013 and brings his "ALL IN" attitude and mentality to Northglenn to continue to build our FIGHT ON tradition. Prior to 2009, Coach Carroll coached linebackers at MRHS and Brighton. Outside of football, Coach Carroll is the Pastor of Northrock Church and has a loving, supportive wife Jodie and two daughters, Camryn and Kaitlyn.